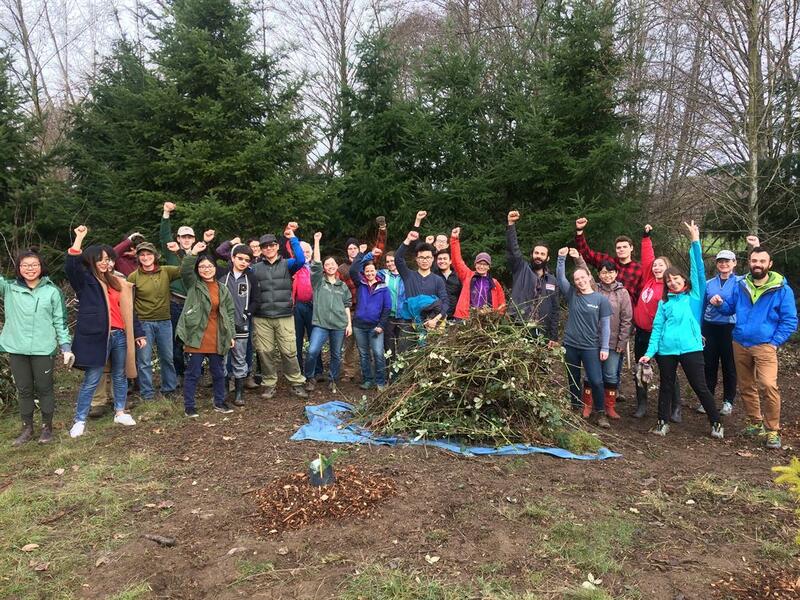 Friday, Feb. 8, 2019, 10:30 a.m. – 1:30 p.m.
Come help to restore habitat in the Union Bay Natural Area (UBNA). Before being designated a natural area, UBNA served as a public landfill for over 40 years. Mounds of trash were dumped on top of what was a thriving marsh ecosystem on the shore of Lake Washington. But hope lies in the fate of UBNA as ecological restoration works to bring back wildlife habitat through the removal of invasive weeds and planting native plants. Gloves and tools will be provided. Please wear closed toed shoes, clothes that can get dirty, and bring a rain jacket and water bottle.